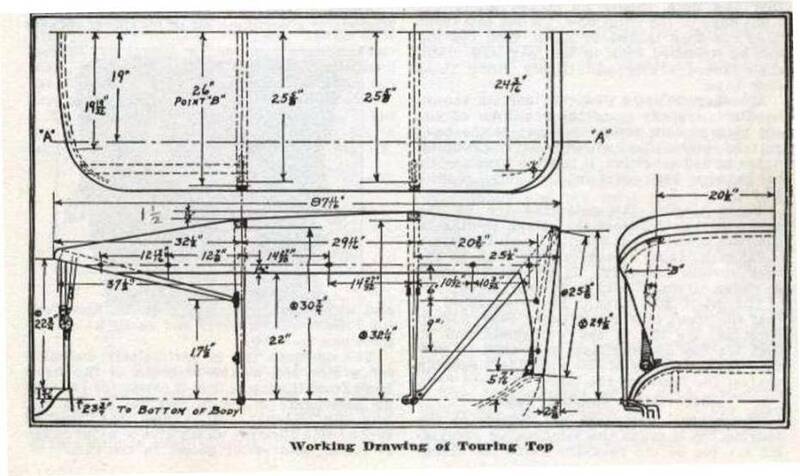 Model T Ford Forum: How much does the 1923-25 Touring rear top bow go past the rear panel – What about a 1922 Canadian Touring one man top? How much does the 1923-25 Touring rear top bow go past the rear panel – What about a 1922 Canadian Touring one man top? Model T Ford Forum: Forum 2018: How much does the 1923-25 Touring rear top bow go past the rear panel – What about a 1922 Canadian Touring one man top? Russel is working to install a top on his Canadian 1922 Model T Ford Touring. 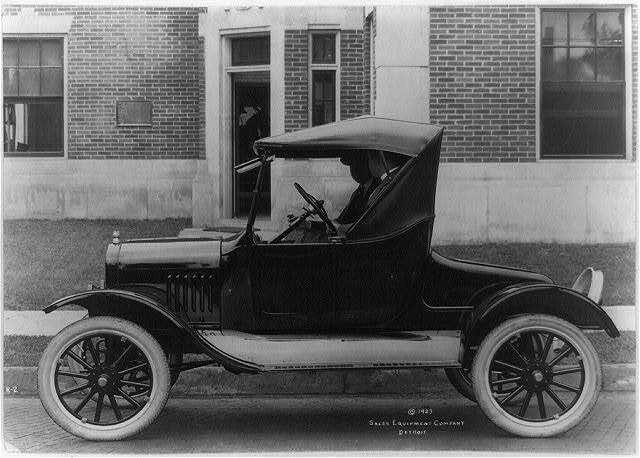 It has the slant windshield and one-man top which was introduced in Canada in 1920. He asked me if I knew how much, if any, the rear bow on a 1922 Canadian touring car should go past the top of the rear seat panel? I would very much appreciate your thoughts and comment to help him out with this. I’ve done some looking but I haven’t found a good photo of a USA or Canadian one man touring top from the side that shows that clearly. 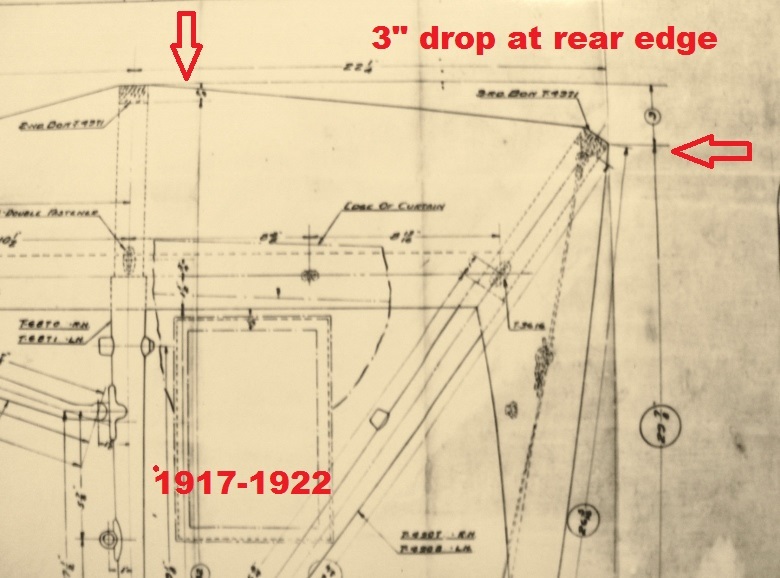 I thought there was a posting on the forum about a USA 1923-25 top that had a plumb line coming down from the rear bow and showing how far from the rear panel the string was, but I did not find that. 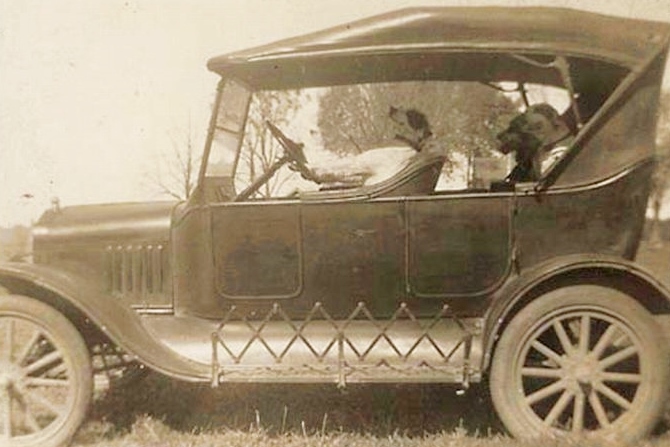 But for the USA 1923-25 one man tops – does anyone have an approximate measurement or a good photo of an early photo of a touring car illustrating that rear bow overhang? 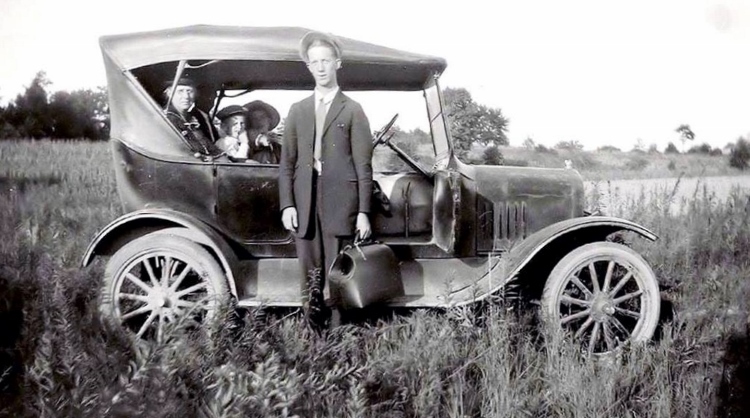 Does anyone know what the USA overhang past the rear body would be on a 1923-25 touring? Hap, it would be nice to have a measurement as a guide, so things are as close to Factory spec as possible, but it is not essential to good looking top. A general rule of thumb is approx 2" further back at the top. The closer the rear panel is to vertical, the closer the car looks to have a broken back. Some high end European vehicles deliberately went this route, the hunch backed look and long tops giving the impression that the car was already on the move and leaning into its work. This look does not work on the high, short tops of a T model. There should be enough material in a top kit to allow some wriggle room to set the rear bow. I have not installed a top ever in my life but I plan on putting one on my '23. It will be happening next winter for sure. I have been collecting phone numbers of people who have actually done it. The fellow that I trust the most and have seen 2 tops he did on the '23 "One Man Top" told me that to make sure all references are plumb and square you really have to make sure the body is NOT on the car but sitting on a level surface since otherwise the usual lower at the front stance of a touring car is going to mess up your measurements with regard to level front to back and side to side. 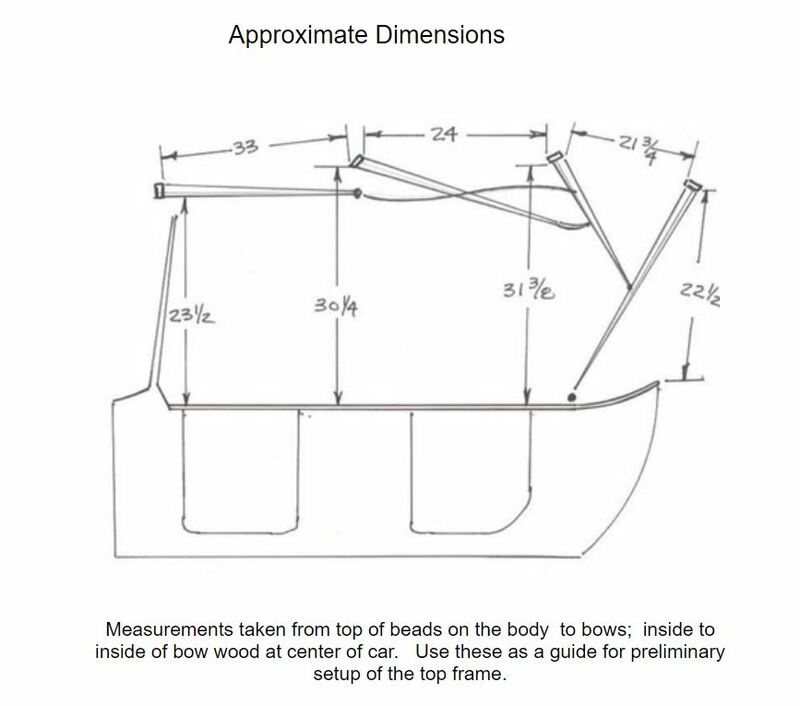 He stated that if the body is sitting level at the bottom then a plumb line dropped from the rear surface of the rear bow should just touch the top edge of the body meaning there is ZERO overhang and the back curtain is vertical. I started looking at every '23-'25 body I could look at on the tour last week and I would have to say that he is correct but he also pointed out that you need to be very careful of the placement height of the rear windows or your rear view mirror installed in the center of the windshield will be useless. He stated that leveling the body on a flat surface also allows you to work on it from above without necessarily being on a ladder. I have a perfectly square 1/4" thick steel frame that I made up when building my Delivery Car body so that I could make sure it was being constructed flat, square, and plumb on all dimensions. This frame was not a T frame but it had all of the correct locations of the 6 body brackets so there was no chance of getting the thing cocked or slanted in any direction. I also purchased a 6 foot long level to allow me to measure diagonals for flat as well. I plan on using that frame when doing my top next winter. Stay tuned. This will be a new experience for me. There is a slight overhang, but more important is the rear-edge of rear bow should be approx. 3" below the center bow. Here is Ford spec on earlier runabout. The lower rear bow is for water to run off the top to the rear. Slight overhang will keep the water from sheeting down the rear curtain. Slight overhang of rear bow when in correct position to the center bow. I believe the vehicle above appears new based on the shiny paint and the copyright date of 1923 would also indicate that. And it appears to have an overhang of the rear top bow to me. If anyone has a similar side view of a Canadian one man top car please post or send me a note. On my 1924 touring the rear curtain was almost vertical. My top was made by Carter Cut and Cover and I had about 1/4 inch trim on the front bow. You need to see how much length was provided on the main part of the top as this may(or may not)govern the angle of the rear curtain. "Thanks to everyone who posted pics. drawings and info." For Ted -- thank you for you input.